As well as selling Signed Memorabilia we specialise in supplying our products to Charities, Sporting Associations, School's, Corporate Fundraisers and any other organisations that can use our services and Memorabilia to raise additional funds at their Functions & Events. In our experience these beautifully presented pieces of sporting history can raise vast profits at your next Fundraising Event. They can also make a fantastic gift for someone special. We pride ourselves in having items to suit every event & every audience and offer a complete, 'No Risk' Auction format that has successfully helped to raise huge profits at Fundraising events all over the country. Many Charities are fortunate enough to have items donated through their various sources but where we can help you raise that extra money is by supplying you with rare, exclusive and topical pieces of Memorabilia that you may not be able to source yourselves. These pieces also guarantee to bring a 'wow' factor to your event. Auctioning or raffling Signed Memorabilia is very easy & using our items at your event is of 'No Risk' to you because if the pieces we lend you don't receive any bids, you simply return the items to us. You don't owe us anything unless the item sells at your event. We will consult with you to confirm the best possible selection of Memorabilia and make sure it's suitable for the event. We organise drop-off or delivery to your office, home or at the function venue. We offer a complete, 'No Risk' Auction format that is perfect for Charity & Fundraising events. You simply tell us what type of event it is, and we will send you, via email or post, a list and pictures of items we think would do well at your event, along with the reserve prices. You can then choose which items you would like and we will do the rest. We provide all of the items on a sale or return basis. Silent Auctions are a great way to raise extra funds and once again there is 'NO Risk' - We can bring a range of Memorabilia pieces to your event and not only display the pieces but also provide the table bidding sheets for your guests. You simply do not have to worry about a thing. By running the Silent Auction for you, Heroes can take away any of the hassle and generate a healthy profit for your charity. • We can either run the Silent Auction for you or simply provide you with the items. 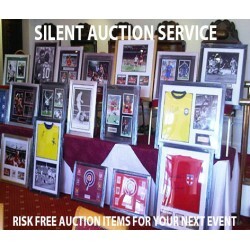 • We can set up and display the Memorabilia items for your Silent Auction prior to the start of your function. 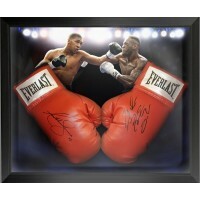 • All items of Memorabilia are provided on a Sale or Return basis. This means there is no cost if they do not sell at your event. 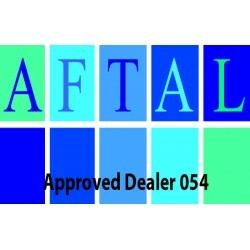 All of our items are supplied on a sale or return basis ensuring there is no risk to you whatsoever. We simply lend you the Memorabilia pieces of your choice, each of which has a reserve price, any money that is raised over and above that reserve price is yours. What happens if the item we lend you does not sell? If, in the unlikely event any of the items we lend you remain unsold, they can simply be returned to us. You don't owe us anything unless the item sells at your event. When do you pay for the Items? We will invoice you after the event for any pieces of Memorabilia that you have sold. We generally supply between 5 & 15 items for an event, but each event is unique so it's ultimately your choice. We can lend you as many or as few as you like.